What Do You Know About Options Trading? Leave a comment on What Do You Know About Options Trading? Trading options can make for a very lucrative opportunity. I have been looking at different options contracts for research purposes lately, in order to continue to learn more about the market. As an investor, it’s fun to look at possibilities and research market movers. For example, I know I would certainly call selling a put on ATVI a good move after its recent dip. Selling a put option contract for a $60 strike price would signify that I do not believe that the price of the security is going to dip below $60. If it did dip below $60 before the expiration date of the contract, then I would be responsible for buying the shares. You see, I would already want those shares. And I would be confident that even if the stock did dip to that price, it would be going up sooner than later. I would either pocket the premium as a bullish investor on ATVI, or I would end up owning the shares. Of course, the thing about put selling is you can also just buy the shares. If you buy dividend stocks, you also get the dividends, yet those options premiums can be quite enticing. Therefore, there is another way to go about pocketing those premiums, too. You can sell insurance. No, I’m not talking about regular insurance. I’m talking about writing covered calls. Let’s say that you plan to buy 1000 shares of ATVI. You decide to write a covered call, and you sell 10 options contracts, each representing 100 shares. You sell them for 1 year out at a strike price of $80. If the stock gets above $80, then your shares will be called away from you. Those shares would then be ‘in the money’ for the investor on the other side of your options contracts. If the stock doesn’t go above $80, then you get to pocket the premium and keep your shares. You would still be selling those shares for a profit if the share price goes above $80, and you would be getting the annual dividend for ATVI. If the stock were to dip, causing you to lose money for the time being, you would get that premium. Therefore, it’s like selling insurance. Those are two ways you can play the options market, and they happen to be my two favorite types of plays. I am not usually one for buying calls, but I do look at those plays from time to time. And no thanks on the buying puts. What types of options plays do you like to make? As an investor, it is definitely interesting to look at options because you have so many possibilities. It’s good for you to know more about investing all the way around, whether you plan to trade options heavily or not. 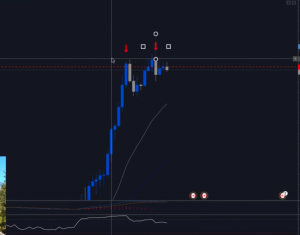 I have gained a load of market knowledge in recent years, and I plan on continuing to put it to the test in the future if God allows me to do so. Are You About To Get Started Trading On The Forex Market? 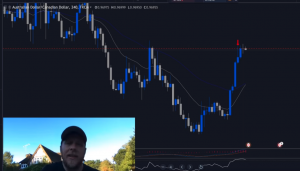 Leave a comment on Are You About To Get Started Trading On The Forex Market? The currency pairs traded as is aren’t quite as fast moving as it may look. Every tick is counted, however, and those ticks, when leveraged, make for big gains and big losses. What’s more is the leverage means you can operate on a margin. You could be covering a margin call quite quickly if you make the wrong move, and so it’s important that you really know what you’re doing. In order to know what you’re doing, you would want to study the Forex market and currency pairs just like you would research other investments. I have done a little Forex studying myself, and I have used both a virtual account and a live trading account. I am not a Forex trader as things stand right now, but I have the account open in case I ever want to use it in the future. My strategy was actually to buy and leverage a specific currency pair over the long term. I was also looking at other currency pairs and trading some of them. It is quite an interesting market, but it didn’t fit into my investment strategy at the time. It was more important that I learned the opportunity at the time in which I did. I have been studying all kinds of investments for future reference. I have been looking more closely at digital currencies, and I have looked at Forex as I mentioned, too. As a matter of fact, I’ve traded Forex and digital currencies, and I have currently shelved those projects. Are you planning to get started with Forex? If so, it’s really important that you get to know the currency pairs. It’s a good idea if you look at some historical charts. Don’t just look at the most recent charts. Looking at historical charts will help you understand better the movement of these currencies. See how they have performed over time in relation to one another. With leverage, the Forex market can be fast moving. It’s really important to notice that because you can really see some big losses quickly if you don’t watch what you’re doing. The last thing you want is to lose a bunch of money without really understanding what you’re doing. It’s bad enough to lose good money when you know what you’re doing. Just for reference, the currency pair I was most interested in was AUD/USD. It is the one I researched the most, and it’s interesting what I found out about this currency pair in relation to gold prices historically. See what all you discover as you check out the different currency pairs out there on the Forex market. Just be sure not to leverage too quickly, if at all at first. Ease into the market.